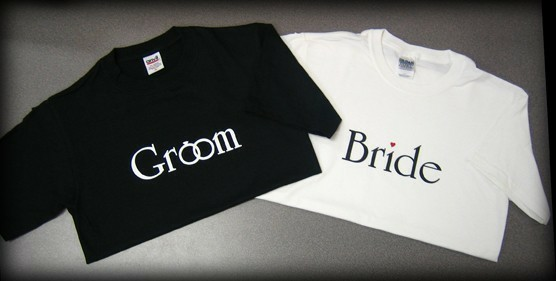 These bride and groom t-shirts are great for the rehearsal dinner, reception or even a casual wedding ceremony. Order this style shown with or without personalization or email us your design ideas. Don't forget the bridemaids and groomsmen.